Hosted by Tomas Hult, this segment of the globalEDGE Business Beat is an interview with Ayalla Ruvio, a faculty in the Broad College of Business at Michigan State University. Tomas Hult is Professor and Byington Endowed Chair in the Eli Broad College of Business at Michigan State University. Dr. Ruvio is an applied consumer behavior researcher who focuses on issues such as identity and consumption, material vs. experiential consumption, consumer arrogance, and cross-cultural consumer behavior. Dr. Ruvio is a native of Israel, and a true expert on cross-cultural understanding and the Israeli-U.S. partnership. As a background, in December 2017, President Donald Trump recognized Jerusalem as the capital of Israel and said he intends to move the U.S. Embassy from Tel Aviv, where it has been located since 1966, to Jerusalem. Technically, President Trump is implementing the Jerusalem Embassy Act of 1995, which is a public law of the United States passed by the 104th Congress on October 23, 1995. However, all presidents before Trump deferred the move of the Embassy from Tel Aviv to Jerusalem on global security grounds. The ACSI is the only national cross-industry measure of customer satisfaction in the United States. The Index measures the satisfaction of U.S. household consumers with the quality of products and services offered by both foreign and domestic firms with significant share in U.S. markets. Broadly, the U.S. Congress approved a new tax plan in December 2017 that reduces the corporate tax rate to 21 percent, from the current 35 percent. Forrest shares his views regarding implications that this tax cut has for corporations in trying to deliver on customer satisfaction initiatives. At the same time, individuals would also see tax cuts, including a top rate of 37 percent, down from 39.6 percent. Tomas and Forrest dialogue about the implications of the individual tax rates for consumer spending and ultimately customer satisfaction. Hosted by Tomas Hult, this segment of the globalEDGE Business Beat is an interview with David Ketchen. Dr. Ketchen is the Lowder Eminent Scholar and Professor of Management in the Harbert College of Business at Auburn University, where he is also Research Director of the Lowder Center for Family Business and Entrepreneurship. Broadly, the U.S. Congress approved a new tax plan in December 2017 that reduces the corporate tax rate to 21 percent, from the current 35 percent. David shares his views regarding implications that this tax cut has for corporations and entrepreneurs. At the same time, individuals would also see tax cuts, including a top rate of 37 percent, down from 39.6 percent. Tomas and Dave dialogue about the implications of the individual tax rates for entrepreneurs. They also discuss the stock market in the U.S. which went up some 25 percent in 2017. This is an unheard of increase in just one year. Dr. Ketchen has some astute takeaways related to this stock market increase for corporations, entrepreneurs, and consumer spending. Hosted by Tomas Hult, this segment of the globalEDGE Business Beat is an interview with Kirt Butler. Dr. Butler is a faculty in the Department of Finance and Director of Study Abroad for the Broad College of Business at Michigan State University, where he teaches international finance. He is author of Multinational Finance: Evaluating the Opportunities, Costs, and Risks of Multinational Operations. Broadly, the U.S. Congress approved a new tax plan in December 2017 that reduces the corporate tax rate to 21 percent, from the current 35 percent. Kirt shares his views regarding financial and economic implications that this tax cut has for corporations. At the same time, individuals would also see tax cuts, including a top rate of 37 percent, down from 39.6 percent. Tomas and Kirt dialogue about the implications of the individual tax rates for consumer spending and the global economy. They also discuss the stock market in the U.S. which went up some 25 percent in 2017. This is an unheard of increase in just one year. Kirt has some astute takeaways related to this stock market increase for corporations and global financial markets. Tomas and Kirt dialogue about the implications of the stock market in the U.S., which went up some 25 percent in 2017. Kirt has some astute takeaways related to this stock market increase for corporations and global financial markets, sharing historical stock market data and implications. Hosted by Tomas Hult, this segment of the globalEDGE Business Beat is an interview with Tim Daman. 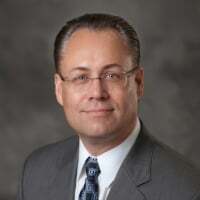 Mr. Daman is President and CEO of the Lansing Regional Chamber of Commerce. In his role, Tim leads the Chamber’s team in Business Development, Business Advocacy, Government Relations, International Trade Development and Membership Services. Tim discusses his priorities for Lansing, also in light of the city having a new mayor, Andy Schor. The core of Tim’s suggestions center on the importance of putting “aside any parochial approach to community development, economic growth, regional collaboration and efficient delivery of public services” to strive toward what former mayor David Hollister targeted Lansing to be, a “world class city.” Tim Daman gives us some ideas for how this can be done to allow Lansing to continue to prosper. Dr. Tomas Hult who is Professor and Byington Endowed Chair in the Broad College of Business at Michigan State University. Dr. Hult also serves as Director of MSU’s 30-member International Business Center (a federally funded national resource center), Executive Director of the Academy of International Business. Hult joins Chris Holman to cover a 2017 International Business year in review and look into 2018 along with the implications of cryptocurrency.